Canson® Infinity Museum ProCanvas Water Resistant 385g/m² is our top grade professional canvas and is “OBA Free” (No Optical Brightening Agents). Manufactured with a high quality 100% pure cotton canvas base, coated with a new advanced technology of microporous coating. 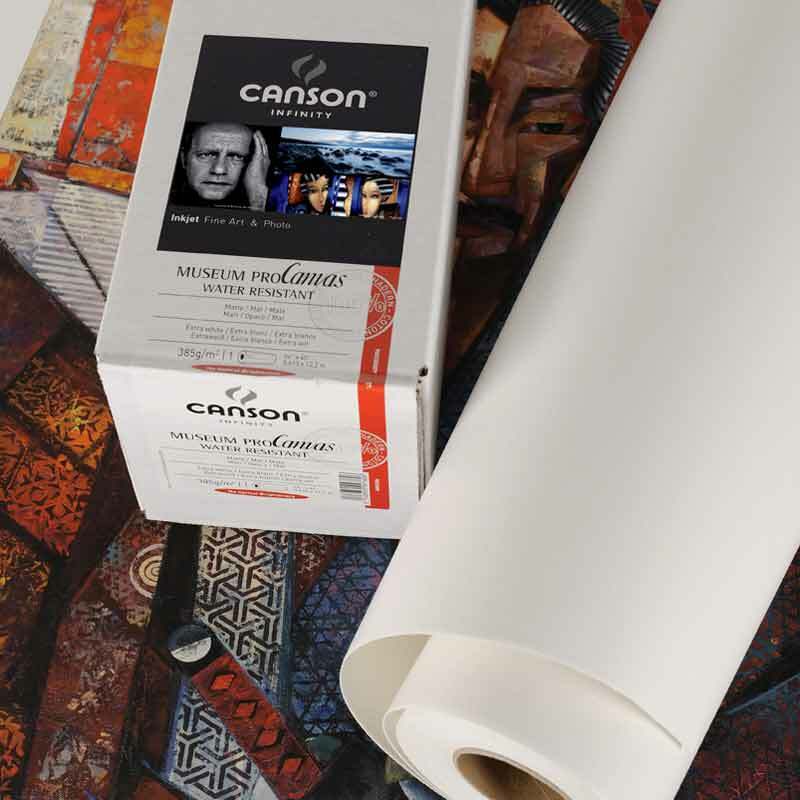 The Canson® Infinity Museum ProCanvas portfolio is Water resistant and specially designed for professionals in search of a Canvas that can produce true Fine Art Reproductions that require precision images with a very high resolution. As a professional artist, I have had the opportunity to test various products and brands over a 35-year period. The products within the Canson® Infinity range really stand apart from the competition. 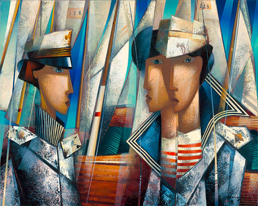 Their canvases meet the highest of quality requirements and are available in a matte or satin finish. Canson® Infinity PhotoArt ProCanvas Water Resistant 395g/m² is our top grade professional canvas and is “OBA Free” (No Optical Brightening Agents).